Evans-Pritchard is yet another journalist who falls for manipulated statistics. For example, it is definitely not proof of a strong economy that Americans buy an enormous number of new cars that they don’t need, especially since they do it with subsidized credit, leading to massive bad debts that will never be repaid. Nor are the deficits, falling wages, 23% real unemployment and falling real GDP a myth. Von Greyerz discusses how the dollar has lost 80% since 1999; forty-four years of the US spending money it hasn’t got; and why holders of US dollars or US Treasuries will end up with nothing. Gold has reflected currency printing and debasement since 1971 by going up 35 times (silver is up 10 times). The main reason for the relatively small rises is the constant manipulation and suppression of the paper market. Without that, both gold and silver would be many times higher than the current prices. But the paper market can fail at any time and once it does, there will be a price explosion in physical gold and silver, while the paper metals will become worthless. The next up-leg in the metals has probably started, and we could see $1,350 in gold and well over $20 silver in a relatively short time. Von Greyerz would not be surprised to see all-time highs in 2017. Investors who understand gold and silver don’t buy for investment gains. When risks in the world’s financial system are greater than ever, precious metals are bought for wealth preservation or insurance purposes. 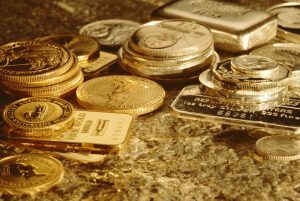 There is no better way to protect your wealth against major financial and economic risks than physical gold and silver. Gold and silver at current prices are absolute bargains.